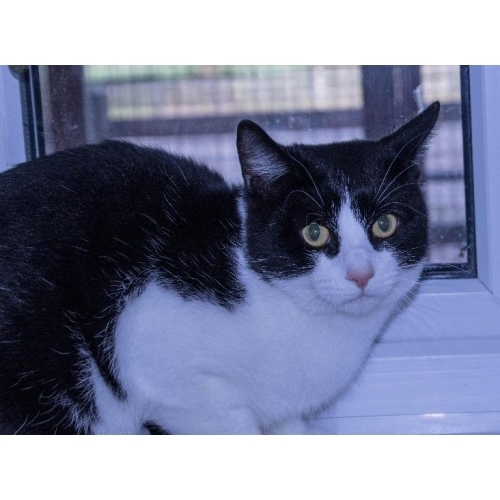 Merlin (and his equally handsome brother Mickie) came in to us from a multi cat household. He is the most handsome Tuxedo boy, his photo does not do him justice. He is currently a bit nervous but with time and patience he will come round as he is desperate to make friends.